In fact, it was Triepke’s approach toward Universal Metro’s employees that was instrumental in his purchase of the business in 1998. The firm, which was founded by the Hillis brothers in the early 1980s, was sold to Southwestern Publishing in 1988. 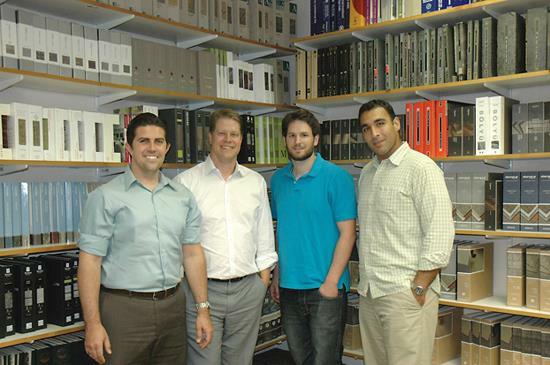 Triepke worked for the firm from 1990 until 1996, when he left to briefly work for a competitor. He returned two years later with a business plan and a couple of investors, and made an offer to buy Universal Metro. He also lives by the “ABR” principle—Always Be Recruiting. When going about his daily life, if he notices a stand-out person or employee, he takes the opportunity to plant the seed about working for Universal Metro. About three years ago, Triepke started working with Amtec, a staffing firm, to help him recruit and hire new employees. Amtec screens potential employees in the areas of personality, history and integrity. One simple screening test, which requires the potential employee to call in at a certain time, answers one of the main questions employers want to know before they hire someone: Is this person going to do what they say they are going to do? 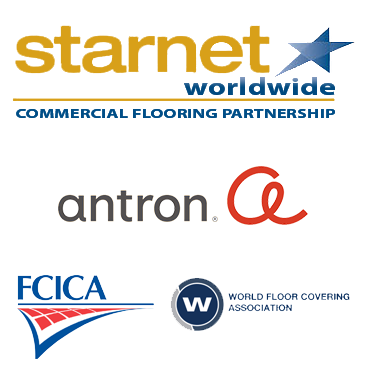 To run a commercial flooring business, proper capitalization is essential. 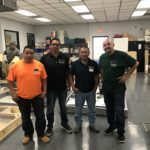 The capital for products and labor is typically paid upfront by the flooring contractor, and payment from the end user or general contractor is not received until 45 to 60 days after the completion of a job. To minimize losses, Triepke has an employee actively calling on receivables. He also works closely with banks to make sure loans are properly structured. Another key is doing the best possible job of prescreening projects to make sure they are “safe” projects. In other words, the project has to be evaluated to ensure it’s worth the time and effort, and that also means making sure that the end user or general contractor has the money to pay for the project when it is completed. Triepke comments, “It definitely helps to know the general contractor. 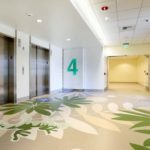 Also, as is the case with many hospital projects, I’m already familiar with the end user.” It is a big advantage that, with 30 years in the business, Universal Metro has become an expert in the healthcare flooring segment, with over 50 hospitals or hospital chains as clients. 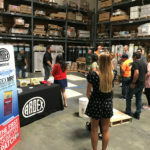 Universal Metro, whose salespeople call on both general contractors and end users, has recently begun to jointly market its services with Ardex Corporation, the subfloor preparation and concrete restoration company. Universal Metro and Ardex share customers by presenting together on projects and offering services for each other to clients. Triepke comments, “This just makes sense because both services are needed on many projects, so we work together to get the business for both of our companies.” The two companies even offer dual logo promotional items to emphasize their complementary efforts.